Bringing Rights Back Home – Again? At the end of the Wizard of Oz Dorothy manages to find her way back from the land of Oz to her farmstead in Kansas by closing her eyes, clicking the heels of her ruby-red slippers together, and repeatedly murmuring the incantation “There’s no place like home; there’s no place like home …”. In his Bringing Rights back home: making human rights compatible with parliamentary democracy in the UK (Policy Exchange, 2011) the political scientist Dr. Michael Pinto-Duschinsky attempts a similar feat, seeking to bring human rights back from the Land of Stras(bourg). Dr. Pinto-Duschinsky certainly tries, in his Chapter 4, to set out a legal case for the possibility of the UK remaining a full member of the Council of Europe – and of the European Union – while repudiating the jurisdiction of the European Court of Human Rights but, contra Lord Hoffmann, it is not a case which stands up to any sustained legal examination. Dr. Pinto-Duschinsky acknowledges that since the Protocol 11 emendations to that the European Convention on Human Rights (“ECHR”) came into force on 1 November 1998 all contracting States to the ECHR are obliged to accept – and do nothing to hinder the effective exercise of – the right of claimed victims of violations of their ECHR rights to apply to the Strasbourg Court under Article 34 ECHR. But he asserts, rather weakly, that “this would not prevent the UK’s attempting to negotiate … a position” of “remain[ing] a signatory of the ECHR without accepting the jurisdiction of the Strasbourg Court”. Rather bizarrely, he goes on to assert that “the projected measure would apply to England and Wales alone, unless the government were to undertake the more drastic step (sic) of amending the devolution acts.” Can he seriously be suggesting that Strasbourg’s authority and jurisdiction in the UK should be restricted to anywhere but England ? Such a suggestion certainly has novelty value, if little else to commend it. Somewhat surprisingly, Dr. Pinto-Duschinsky makes no mention of the fact that Strasbourg Court has jurisdiction under Article 33 ECHR in cases brought by one Contracting State alleging breach of the provisions by another Contracting State. Ireland, of course, brought such a case against the UK in relation to the Convention compatibility of interrogation techniques used in the 1970s by British army personnel against certain detainees in Northern Ireland. It is not clear whether he recommends the UK’s repudiation of this jurisdiction also. Nor does he offer any assessment of how this might be done within the context of remaining within the ECHR and/or the Council of Europe. This is unfortunate given that any amendment of the ECHR would require the unanimity of all of the current member States of the Council of Europe. But why should they agree en masse to the kind of UK go it alone opt-out from Strasbourg jurisdiction which Dr. Pinto-Duschinsky appears to commend ? Or is he instead, suggesting instead the complete abolition, for all, of the European Court of Human Rights ? But again, why should the other Council of Europe State agree to this ? Some deeper analysis, or at the very least consideration of this issue, would have been welcomed. Dr. Pinto-Duschinsky notes that all new candidate members of the Council of Europe are obliged to sign up to the ECHR – and hence to the full individual and inter-State jurisdiction of the Strasbourg Court – but he would have it that no such requirement can be applied, as a matter of law, to original founding members of the Council of Europe such as the UK (or, indeed, Turkey). He does recognise that “there undoubtedly would be strong objections from the Council of Europe were the UK to consider rejecting the jurisdiction of the European Court of Human Rights” but contends that “they would be based on political and diplomatic rather than legal ones”. 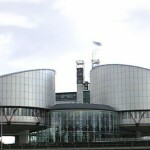 This is because, he says, that Article 3 of the Statute of the Council of Europe – which obliges every member of the Council of Europe to “accept the principle of the rule of law and of the enjoyment by all persons within its jurisdiction of human rights and fundamental freedoms – does not constitute a “clear legal provision …. which would oblige the UK to cease being a member [of the Council of Europe] were it to withdraw from the ECHR”. He offers no authority – or argument – for this proposition. But then, one wonders, why bother ? If his wish is to withdraw (some of) the UK’s legal systems from Strasbourg supervision, what point is there in seeking to remain within the Council of Europe ? Would it not make much more sense – at least from Dr. Pinto-Duschinsky’s perspective – simply for the UK to exercise its residual Kompetenz-Kompetenz as a sovereign state and just make a clean break with it? After all, as one neo-Atlanticist Parliamentarian has observed, the United States is not a member of the Council of Europe. But the heretofore radically novel proposals of Dr. Pinto-Duschinsky rather peter it in his third argument – which is, if anything, his weakest from a legal perspective – to the effect that withdrawal from the ECHR would not have any consequences for the UK’s continued membership of the EU. Article 3(5) TEU of the Treaty on European Union (“TEU”) states that “in its relations with the wider world, the Union …. shall contribute to … the protection of human rights… as well as to the strict observance and the development of international law”. Article 6(1) TEU provides that “the Union recognises the rights, freedoms and principles set out in the Charter of Fundamental Rights (“CFR”) of 7 December 2000 … which shall have the same legal value as the Treaties” and Article 52(3) CFR requires that those Charter rights which correspond to rights already guaranteed by the ECHR be given the same meaning and scope as, and no lesser degree of protection than that provided under the ECHR. In Case C-400/10 PPU J. McB. v L.E. 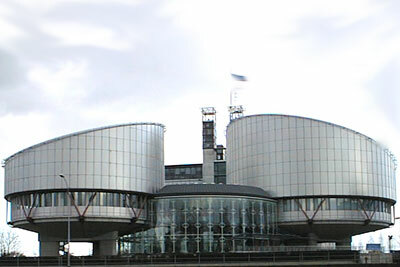 5 October  ECR I-nyr at paragraph 53 the Third Section of the Court of Justice of the European Union (“CJEU) interpreted ed this provision of the Charter as meaning that where Charter rights paralleled ECHR rights the CJEU should follow any clear and constant jurisprudence of the European Court of Human Rights. Article 6(2) TEU also specifies that “the [European] Union shall accede to the European Convention for the Protection of Human Rights and Fundamental Freedoms.” And Article 6(3) TEU state that “fundamental rights, as guaranteed by the European Convention for the Protection of Human Rights and Fundamental Freedoms and as they result from the constitutional traditions common to the Member States, shall constitute general principles of the Union’s law”. Dr. Pinto-Duschinsky appears to be aware of the terms of some of these provisions but not, perhaps, of their meaning and import. For example, all that he says of Article 6(3) TEU that “the meaning and implication of this are far from clear”. The bibliography to his piece would appear, alas, to indicate he has paid no regard to the extensive and well-developed fundamental rights case-law of the Court of Justice of the European Union (CJEU) from which this phrase is a direct quotation, nor to the vast literature critically commenting on this line of CJEU jurisprudence. Article 49 of the post-Lisbon Treaty on European Union (“TEU”) states that “any European State which respects the values referred to in Article TEU 2 and is committed to promoting them may apply to become a member of the Union”. The values listed in Article 2 TEU include “respect for human dignity, freedom, democracy, equality, the rule of law and respect for human rights, including the rights of persons belonging to minorities… values [which] are common to the Member States in a society in which pluralism, non-discrimination, tolerance, justice and solidarity and equality between men and women prevail.” Provision is made – in Article 7(3) TEU and Article 354 TFEU – for the possibility of suspension of certain of the Treaty rights (but not obligations) of a Member State which has been found to be in serious and persistent breach of these principles. And under Article 260 TFEU, the EU Court has the power to impose financial penalties – in cases brought by the Commission – against a Member State for its failure to fulfil an obligation incumbent upon it under the Treaties. Thus the binding nature of EU law is ensured not simply by political pressure, but also by specific legal sanction. Dr. Pinto-Duschinsky accepts that “if the United Kingdom withdrew from the jurisdiction of the Strasbourg Court and, if, for this reason, it was obliged to denounce the ECHR treaty in order to do so, it is conceivable that the other members of the European Union would vote unanimously that this action constitute a ‘risk of a serious breach’ of the core values of the EU” but blandly goes on that “it is hard to imagine” and “barely conceivable” that withdrawal from the jurisdiction of the European Court of Human Rights “would trigger such a response”. But it might have been easier for Dr. Pinto-Duschinsky to exercise his imagination if he had alluded to the only previous occasion in which these EU suspension powers have been invoked. It was the mere possibility of the participation in the government of Austria (in coalition with the Austrian Peoples Party) by the far-right Freedom Party then headed by Jörg Heider in 2000 resulted in the invocation of the procedures for the suspension of Austria from full participation in the European Union under the then applicable provisions of Article 7 of the EU Treaty: (see, more generally, Alison Duxbury “Austria and the European Union: the report of the three wise men”  Melbourne Journal of International Law 10). And even if the other Member States were not minded to invoke the provisions of Article 7(3)/354 TEU, the possibility of the Commission bringing this issue before the CJEU by way of an Article 260 TFEU court action remains. The point about the EU is that (EU) law trumps (Member States’) politics. But these issues are given no consideration by Dr. Pinto-Duschinsky. Dr. Pinto-Duschinsky accepts that “were a country to denounce the convention treaty, it would still be bound by its membership of the EU to adhere to the terms of the Convention in matters falling under EU jurisdiction”, but says that “this in itself would not necessitate its individual adherence to the Convention”. He fails, however, to give (or take) any account of the extent of the breadth of the impact of EU law within the member States. A quick glance at Article 3 of the Treaty on the Functioning of the European Union (“TFEU”) shows that EU has “exclusive competence” in the following areas: customs union; the establishing of the competition rules necessary for the functioning of the internal market; monetary policy for the Member States whose currency is the euro; the conservation of marine biological resources under the common fisheries policy; and common commercial policy. Article 4(2) TFEU goes on to include among the areas of “shared” competence (where, if the EU decides to act, it pre-empts the Member States’ competence and occupies the field) the following: the internal market; social policy for the aspects defined in the Treaty; economic, social and territorial cohesion; agriculture and fisheries (excluding the conservation of marine biological resources); environment; consumer protection; transport; trans-European networks; energy; the European area of freedom, security and justice (which includes criminal law, asylum/refugee law and immigration law); common safety concerns in public health matters for the aspects defined in the Treaty. Finally, Article 6 TFEU lists among the areas in which it would be competent for the Union “to carry out actions to support, co-ordinate or supplement the actions of the Member States” the following: “protection and improvement of human health; industry; culture; tourism; education, youth, sport and vocational training; civil protection; administrative co-operation”. The difficult thing within the contemporary legal systems of the EU Member States (including those of the United Kingdom) is to find an area of law which falls outside the ambit of EU law, rather than to define and delimit those areas which fall within it. What this means is – at least that once the EU signs up to the ECHR – vast swathes of law within the UK would continue to fall within Strasbourg jurisdiction because within the ambit of EU law, regardless of whether or not the UK might take up Dr. Pinto-Duschinsky suggestions of repudiating the ECHR and/or discontinuing its membership of the Council of Europe. “I am most grateful to Policy Exchange … for asking me to write on this important topic. n part I was chosen because I am not a lawyer but a political scientist. …. This project has forced me to learn a great deal that is new to me but is bread and butter to constitutional lawyers”. How a modern liberal polity can properly reconcile the demands of majority-rule with the continued effective protection of the fundamental rights of individuals and (often unpopular) minorities is perhaps the most important political, constitutional, legal – and indeed moral – issue – of our (post-Nuremberg) time. It is to be regretted that Dr. Pinto-Duschinsky’s Bringing Rights back home fails to grapple with (or indeed to understand) the complexity of this issue, whether from a legal or from a political perspective. There is much work to be done on this topic. But unlike Dorothy’s, Dr. Pinto-Duschnisky’s repeated incantation of the unique virtues of home does not do that work. It turns out that we’re not in Kansas anymore. Bringing Rights Back Home? Did we have them in the first place, and if so, where did they go to? I seem to recall that the Nazi used to click the heels of their jackboots! It beggars belief that Lord Hoffmann advocates that the UK extricate ourselves from the jurisdiction of the Strasbourg Court. Moreover that we can repatriate our law of human rights, when we didn’t have it in the first place so it could not have gone anywhere to come back home. Cowards, who also tend to be bullies, might take the yellow brick road. [Comment interupted by Daily Mail announcing QCs Lester, Howe and Kennedy to sit on Commission investigating the HRA and Convention and ECtHR]. Incredibly, I read on Twitter that the Committee of Ministers today decided to postpone deliberation of the UK’s failure to fully comply with Hirst v UK (No2) until the Grand Chamber reaches a decision in Greens and MT v UK. Given that the cases are 5 years apart, and that the UK has so far not justified its non-compliance, this appear to me to be a cop out by the CoM. The other day I watched a video wherein Urszula Gacek, the Polish Ambassdor to the Council of Europe, opined that the CoM was unlikely to be too harsh on the UK because other States have issues with the ECtHR and don’t want to point the finger in case it gets pointed back at them. Lest we forget, the ECHR was set up after the Nazi regime killed 6m Jews, gypsies, etc, during World War 2. The Second World War lasted for 5 years. Awhile back Lord Ramsbotham pointed out that it has taken the UK longer to implement Hirst v UK (No2) than it took to win the Second World War. That takes some justification. I would contend that it cannot be justified. I seem to recall Charles the First claiming that the King could do no wrong. Parliament decided differently and decapitated him. It would appear that Parliament, in my case, is claiming that it can do no wrong. It cannot be that Parliament is above the law. Nor can Parliament state that there is one law for them and one for the rest of us. If the Judiciary wants to claim to be the defender of human rights, and make the decisions at home rather than have them made abroad, then it needs judicial activism and the desire to protect the weakest in society from State abuse. The EU Charter rehearses and re-implements the Convention rights. To suggest we could denounce the Convention and remain within the EU is risible. Furthermore denunciation of the Convention would give moral support to elements in States in the further reaches of Europe where the Rule of Law is fragile or absent altogether. Finally, it’s clear the time has come for an entrenched Constitution and Charter (such as Canada acheived in the 1980s) and that Britiain is currently attempting to impose semi-unilaterally on the Turks and Caicos. If there, why not here? Leave a reply on "Bringing Rights Back Home – Again?"